The sequel to one of the best sports games of recent years has now arrived. 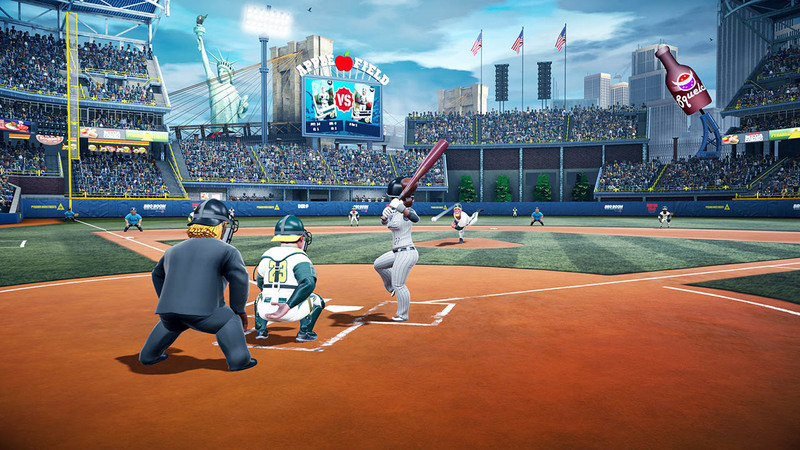 Super Mega Baseball 2 can be downloaded for Xbox One, PlayStation 4 and PC through Steam. SMB2 is being sold for $30 however this month Xbox Live Gold subscribers will be able to get the game free on XB1. Three DLC packs accompany the release that range from $3.49 to $4.49 for increasing the customization options. Super Mega Baseball 2 addresses the primary deficiency of the original by adding in online play. Online features include options for head-to-head and co-op even within the traditionally offline Season Mode. The art style and player models have been refined, presentation overhauled, customization added of teams/logos/uniforms/gear, cross-platform play offered between XB1/PC and PS4/PC, and enhancements are present to take advantage of the Xbox One X and PS4 Pro.